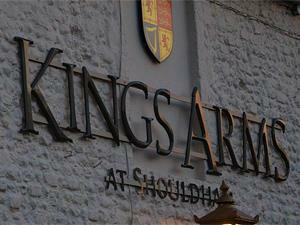 The Kings Arms is West Norfolk’s first community owned pub. Set on Shouldham’s village green, the Kings Arms is a traditional pub serving real ales straight from the barrel and good value food using fresh local produce. The Kings Arms is child and dog friendly and has a good sized beer garden. West Norfolk CAMRA pub of the year 2016. Good beer guide.